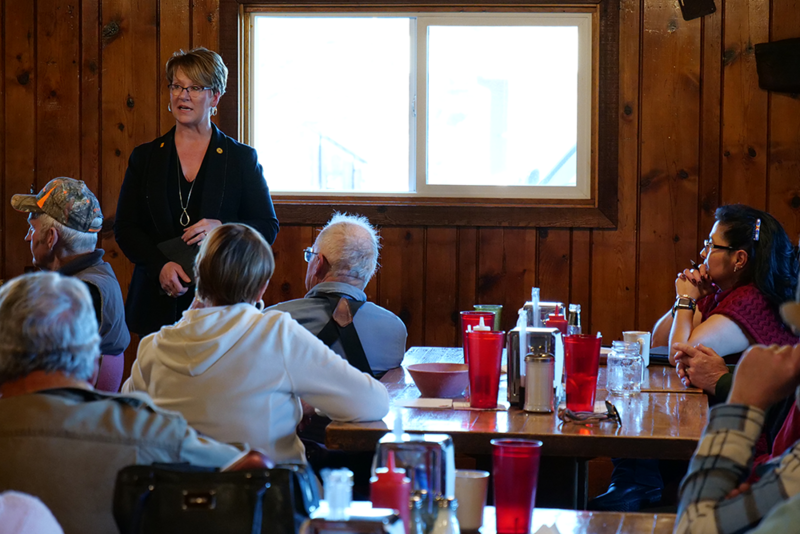 Thank you to everyone that took time to attend the Town Hall meeting Friday, February 23rd at the Eagle Guest in Datil, and a special thanks to Blaine and Jacqui Atwood for allowing us to meet there. I gave a brief summary of the 30-day 2018 Legislative Session which ran from January 16th-February 15th. Thirty day sessions are limited by the Constitution of New Mexico to budget and revenue bills, bills authorized by a message from the governor, and veto overrides. A total of 687 bills were introduced, in addition to 250 other pieces of legislation. By the end of the session, 111 bills passed; 55 senate bills and 56 house bills. The legislature crafted a budget and for the first time in several years, received some good budget news. Rising oil and gas prices and production added $188.9 million in new revenue. The total state budget is $6.3 billion, an increase of just over 4% from last year’s budget. I was encouraged by the bipartisan support of the Nurse Licensure Compact Bill. This bill will allow nurses to come here and practice without a NM specific license. It also allows NM nurses to practice in other states and is critical to the Health and Public Safety of our state. One of the questions I was asked was on the status of the water. I’m very optimistic that we are close to developing a resolution that addresses the concerns of mining our water for profit. I have met with the State Engineer and believe he is very close to making a decision. There was discussion regarding the Senior Centers throughout the community. The initial items that need to be resolved include the physical repairs to the centers, reviewing the processes in place to ensure designated funds are distributed to the proper facility, and meeting with facilitators to improve their ability to solicit funds from the state. Overall, we have made remarkable progress but we are not done yet! I am dependent on feedback from you. I look forward to hearing from you this year as I work to make sure your voice and interests are heard loud and clear in Santa Fe. Thank you again, for your continued support. It is an honor to represent our beautiful district. 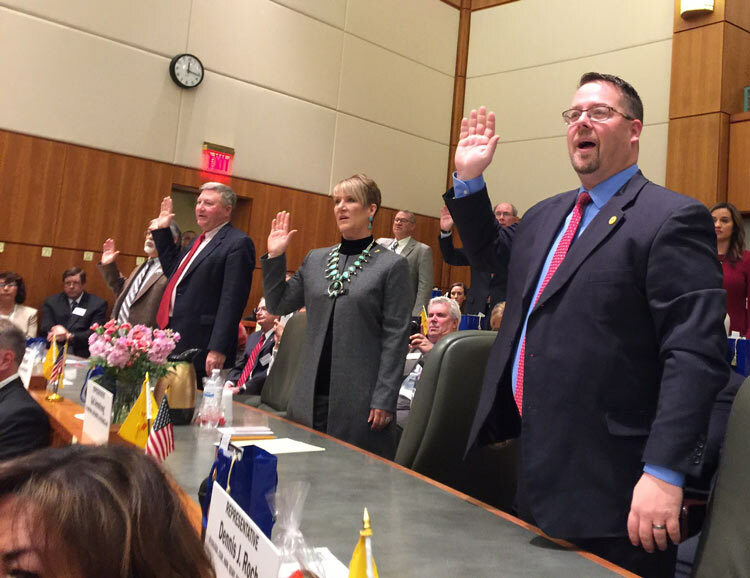 Santa Fe, NM – Rep. Gail Armstrong (R-Magdalena) has been appointed as a Legislative Advisory Member to the Rio Grande Trail Commission by New Mexico Speaker of the House Brian Egolf. The Rio Grande Trail Commission was created in 2015 to bring public and private stakeholders together to study and recommend options for establishing a Rio Grande trail running the length of New Mexico from Colorado to the Texas border. The commission is also responsible for evaluating potential environmental impacts, mitigating challenges related to the trail, and recommending facilities and other enhancements. Commission members include state agency heads, conservationists, and members of the public. Armstrong joins previously appointed Legislative Advisory Members Rep. Jason Harper (R-Rio Rancho), Sen. Carlos Cisneros (D-Questa), and Sen. Jeff Steinborn (D-Las Cruces). 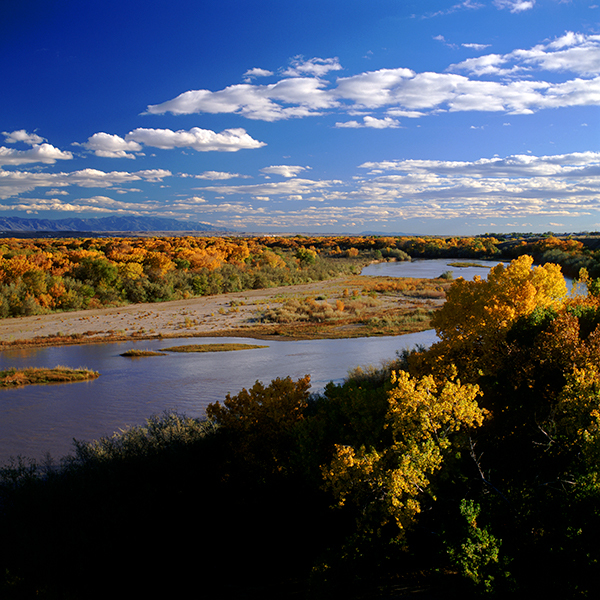 Armstrong’s district includes the Sevilleta National Wildlife Refuge and the Bosque del Apache National Wildlife Refuge as well as the El Camino Real Historic Trail Site. The commission meets at least three times during the year and must submit annual reports to Governor Susana Martinez and the appropriate interim Legislative committees. The commission’s most recent meeting took place on October 17, 2017, in Taos, New Mexico. MAGDALENA, NM—Today Rep. Gail Armstrong (R-Catron, Socorro, and Valencia) announced the launch of a backpack drive for New Mexico’s kids. Armstrong is partnering with Molina Healthcare on this effort to provide new backpacks to deserving students in House District 49. Armstrong is also partnering with the Socorro County Community Alternatives Program, Socorro County Sheriff’s Office, Socorro HeadStart, First State Bank, and El Defensor Chieftain on a school supply drive to collect items for both students and teachers in Socorro County. Donations at all locations will be accepted now through Friday, July 28, 2017. El Defensor Chieftain, First State Bank, and New Mexico Tech will continue to accept donations until August 11. Armstrong will be joining representatives from these organizations on Saturday, July 29 at the Socorro Walmart on 700 6th St N from 9 A.M. to 1 P.M. to collect additional back-to-school supplies. The supply drive will also be accepting donations at Walmart on Saturday, July 22. Going back to school incurs so much expense between the supplies, clothes and shoes families can sink hundreds of dollars. These backpacks help take a small burden off the families. I love seeing people come together to help others. I know the people of District 49 are the best and when I was approached to partner with Molina Healthcare and YOU, I couldn’t wait. So we started collecting school supplies and put together over 300 backpacks. The residents of Socorro and Catron Counties who needed a little help got some thanks to you. I have enjoyed my many years serving as your Representative and have chosen to retire. I am so excited to pass my seat to a very qualified and wonderful person, Mrs. Gail Armstrong. She has been a lifelong resident of this district and she exemplifies the passion and love for our community. She will also be a good listener to your needs and concerns. Please join me in celebrating Representative Gail Armstrong’s appointment.